Displaying a REAL wreath brings that invigorating forest aroma to the whole home. If it is flattened from being stacked in a box with others on top, or if it looks dry and limp, it is not going to produce that result. 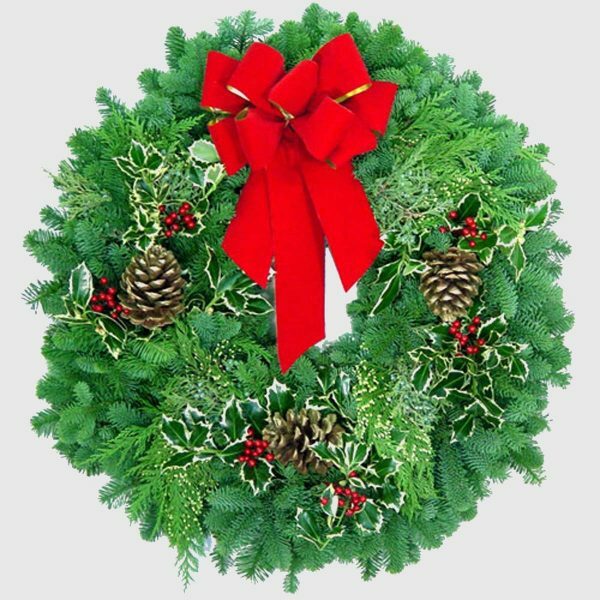 A fresh 22 to 24 inch wreath should be 4 inches thick and weigh almost 5 pounds – if not, it is not up to California Christmas Tree COOPERATIVE standards. Some producers even dip wreaths in a polymer to preserve freshness. If it lasts a little longer the unfortunate side-effect is to destroy the fresh aroma. Be sure to avoid any that do not display this badge of quality.